History is created through the passage of time. If you’re looking for the perfect gift that can delight a History teacher, a clock that can help them tell time is indeed a fitting one. This clock is not just any ordinary clock, as it comes with a message especially dedicated for History teachers out there. If there’s one thing that can describe any History teacher, that would be their collective fondness of traveling back in time. But since a time traveler has not been invented yet, a wall clock is the closest alternative you get if you want to surprise them through a simple, appreciation gift. A clock cannot bring them back in time surely, but it does help them look forward to the future! 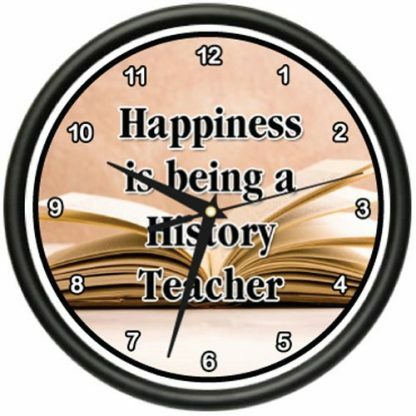 This particular wall clock is not just a generic clock, but one that is specifically designed for History teachers, being imprinted with the words: Happiness is being a History teacher. Created with a black plastic frame and clear cover. This Wall Clock is a perfect addition to your History teacher’s office, home, or bedroom. It can show off their profession in the most functional style! 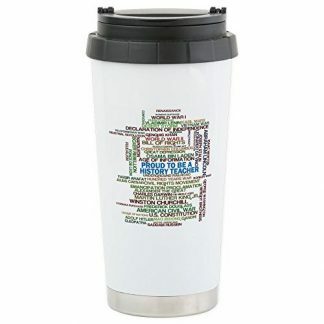 If you’re thinking of giving this gift during Teacher’s Day, Graduation Day or the Holidays, bringing this to school is not a hassle because it is easy to carry around. The next-day shipping guarantee also ensures that you can get the gift item in time for any occasion! 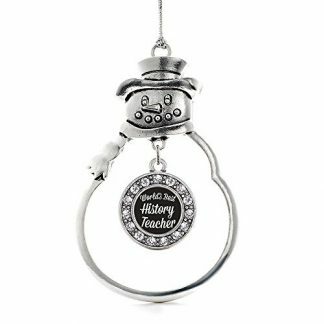 Make your History teacher feel appreciated with this simple, but very thoughtful gift. Do note however that the clock needs 1 AA battery in order to run, and it is not included with the gift item. 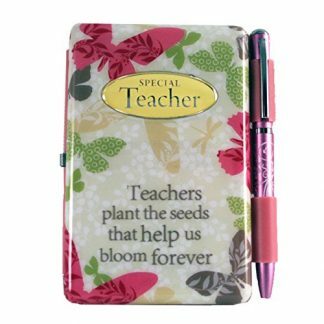 But if you really want to make it extra, just add in a battery pack for your teacher as well! They will be happier once they see that they can immediately use their wall clock gift, right? Other wall clock designs are also available to suit other types of professions. Aside from the History Teacher Wall Clock, another is designed for Policemen, Judges, Pest Control Staff, Nurses, Firefighters and more!